The Spartan 7W Executive is a five-place all metal monoplane that features retractable landing gear and a luxurious interior. The Executive was designed to be fast and comfortable with extensive insulation to lower cabin noise levels. Executives were used for business and personal transportation, and set a new standard for speed and style. 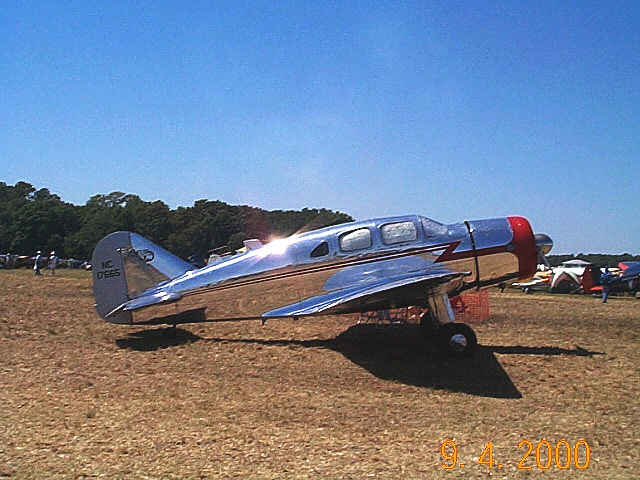 The overall level of technology and performance was comparable to the best fighter airplanes of the day, and this was reflected in a high cost – a factory-new Executive cost $23,500 in 1937. 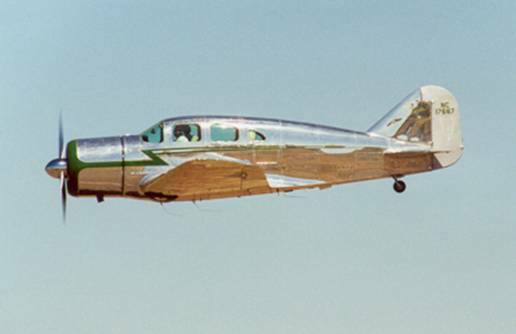 NC13993 is the second production aircraft of just 34 built, and is the only example with a control stick instead of a control wheel. 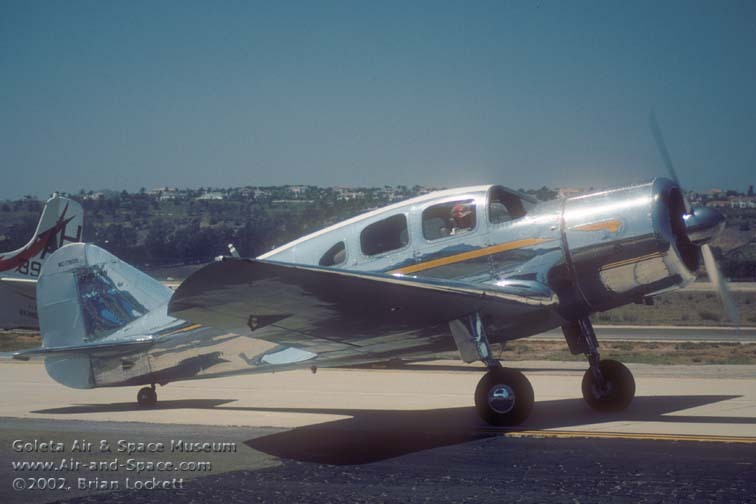 It was used extensively for factory flight-testing. George Mennen used to spray aftershave into the exhaust when he flew, to help advertise his products. Built by the Spartan Aircraft Company, Tulsa, OK. ATC # 628 granted on 2-15-37, expired 10-20-41. 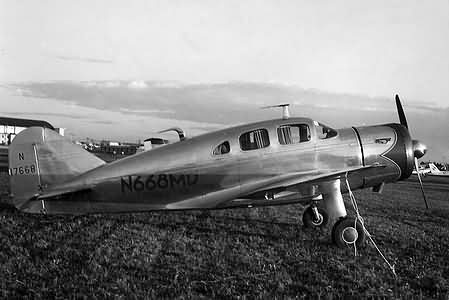 Serial No 7W-19 was a $30,000 customized aircraft built in 1939 for King Ghazi of Iraq as “Eagle of Iraq” (registration YI-SOF). The aircraft went to the RAF as AX666 in 1940. The aircraft became a training aid in 1941.